Sired by Caretino, a stallion of superb jumping ability, Caletino’s pedigree reads like the Who’s Who of the Holsteiner breed. 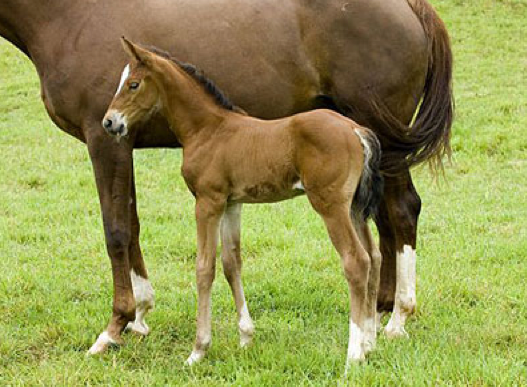 Both his grandsires, Caletto II and Caletto I, established significant dynasties in breeding and competition sports. 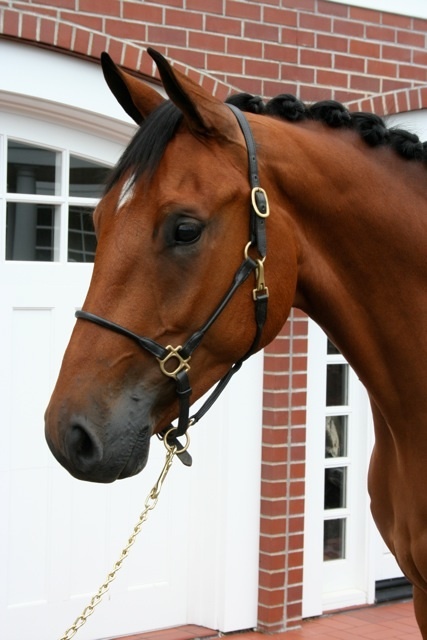 He is registered with the KWPN and the NA/WPN. 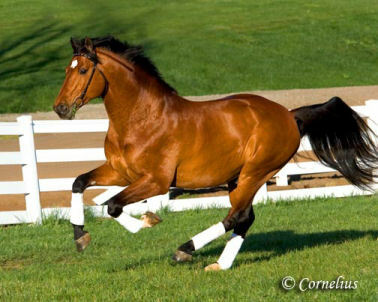 Caletino, known in the stable as “Seeker,” came to the US as a three year old in the winter of 2001. 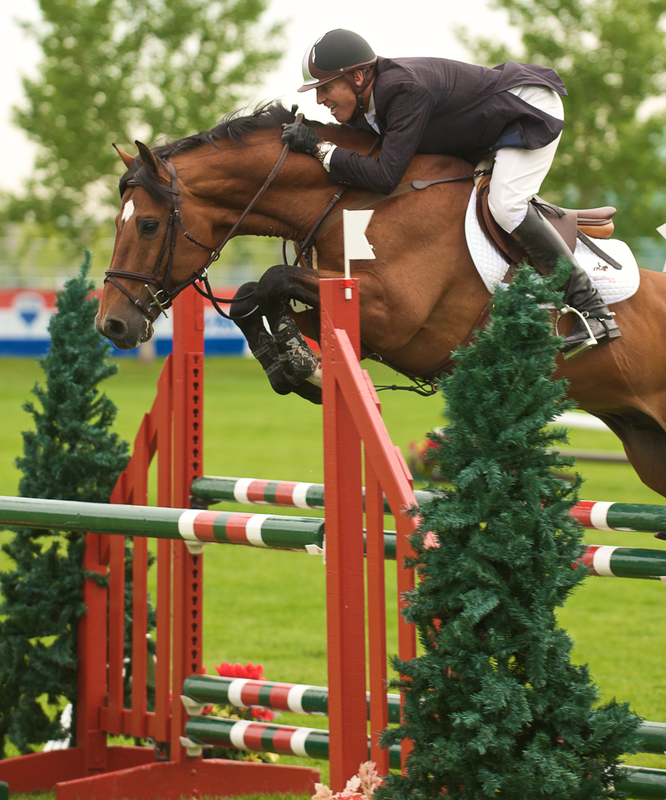 Caletino began his show career in 2003 and, in his first year of competing, he became the USDF Horse of the Year Materiale. 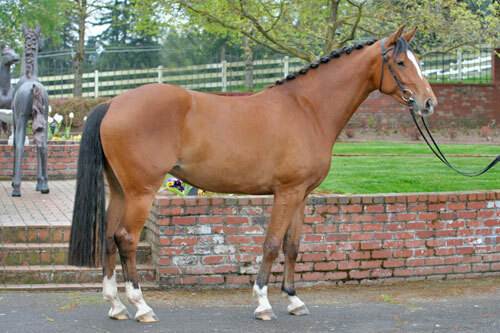 In addition, he was the NWSHB Champion Stallion, Best of Breed and the USDF Cosequin Champion Stallion. 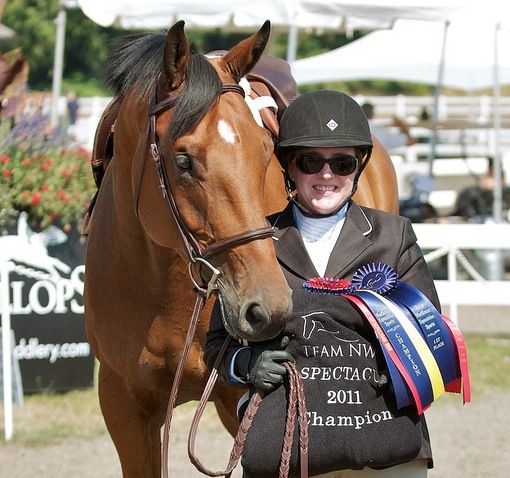 In 2004, he qualified and competed as a finalist in the US Young Horse National Championships in Lexington, Kentucky. 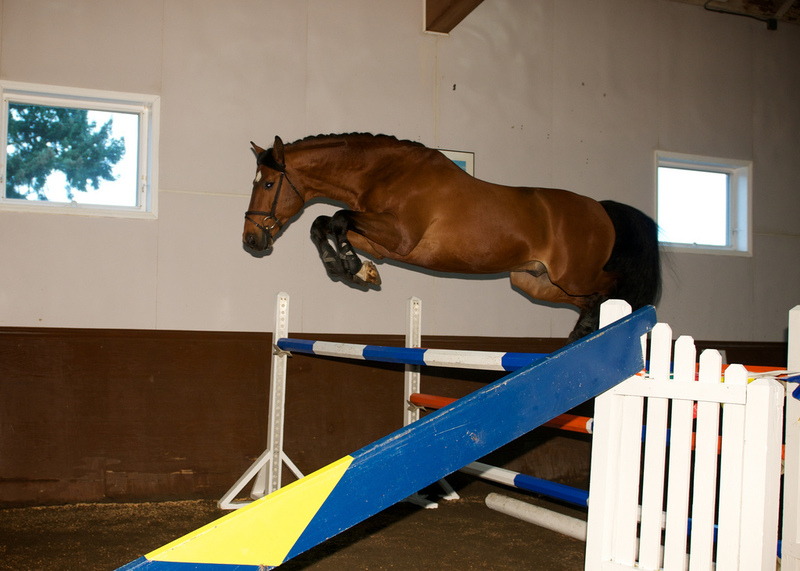 Just one month later, he won the DG Bar Cup, an event for Dutch young horses. 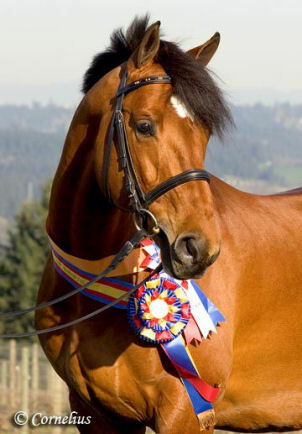 His score placed him as the Reserve Champion in the US. 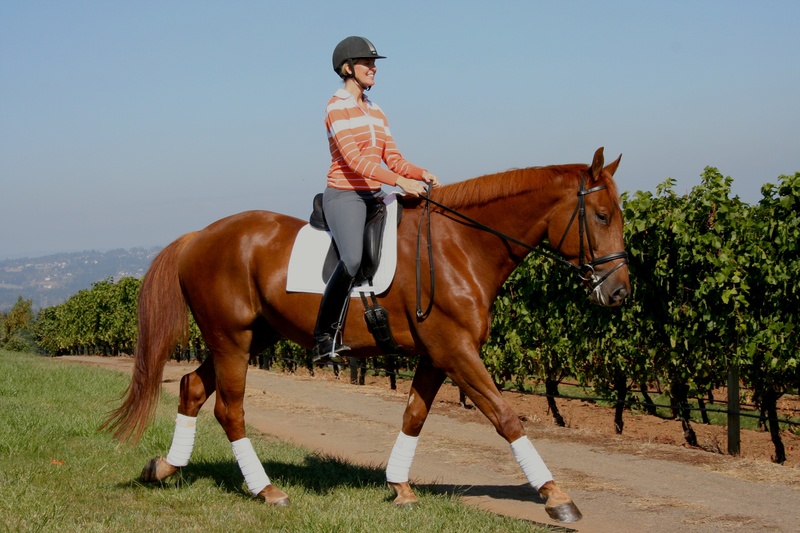 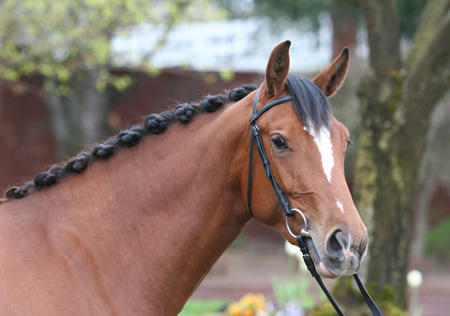 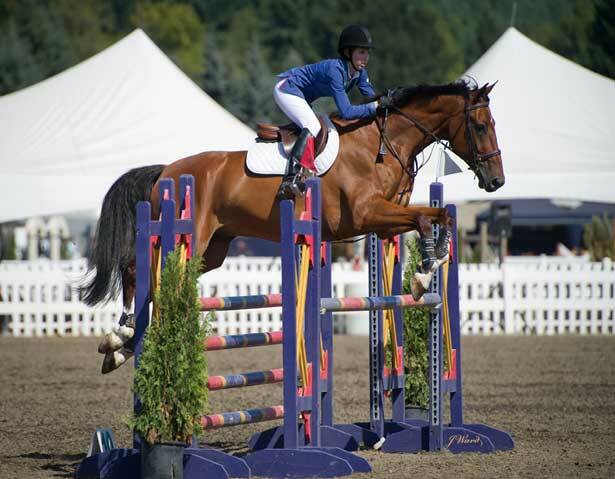 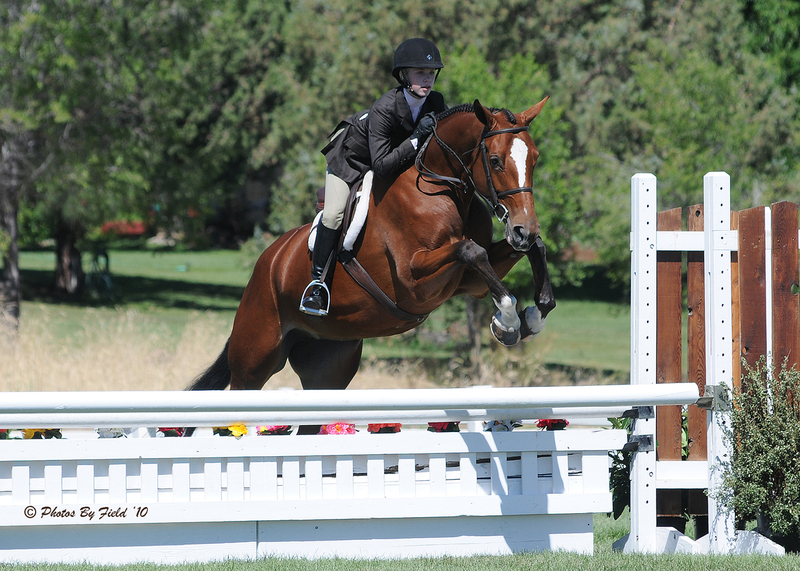 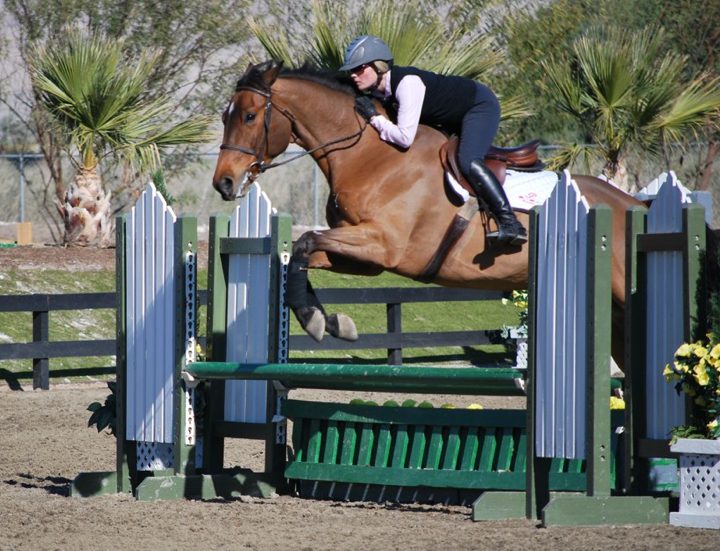 In 2009, Caletino went into training with Oregon-based US showjumping team rider Rich Fellers and, after just two weeks of jumping under saddle, he was entered into his first show. 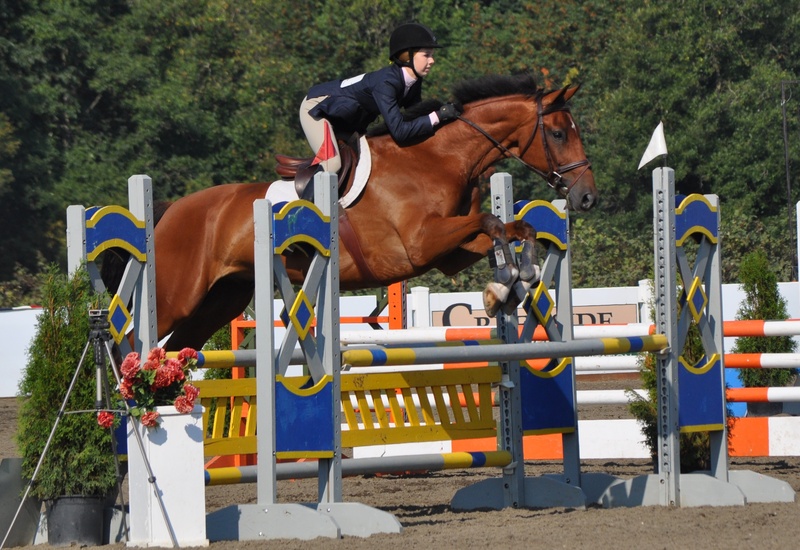 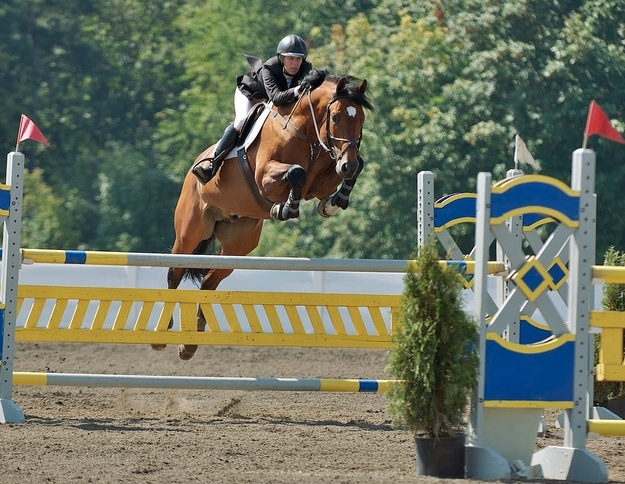 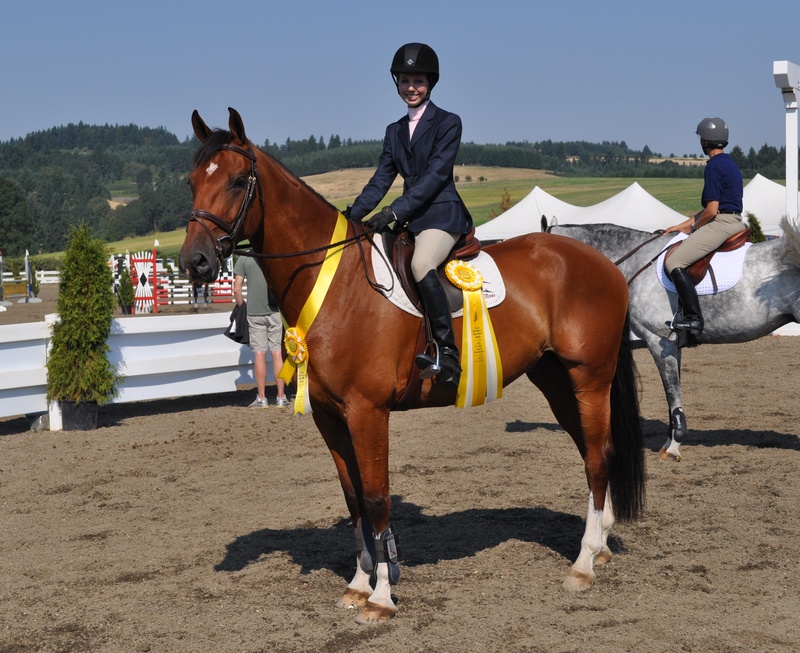 In his debut outings as a showjumper, after a long career in dressage, Caletino consistently placed in the top ribbons in the 1.10 and 1.15 divisions at the 2009 Thunderbird Tournament (Langley, B.C), and a brought home a 1st, 2nd, 3rd, and 5th in the 1.20 division at the Canada One and North American Tournaments at Spruce Meadows. 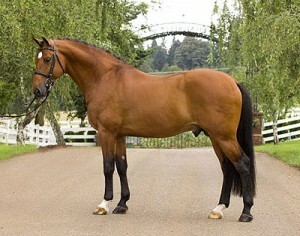 Caletino possesses a kind and willing temperament and should produce offspring of the highest quality. 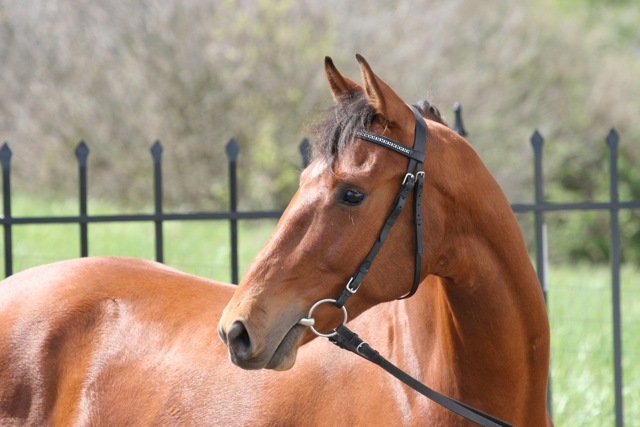 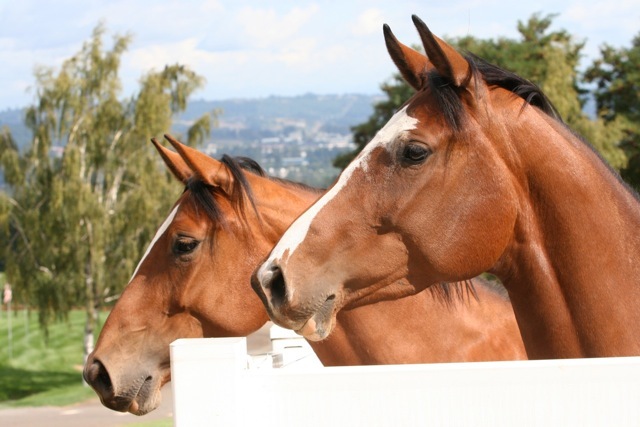 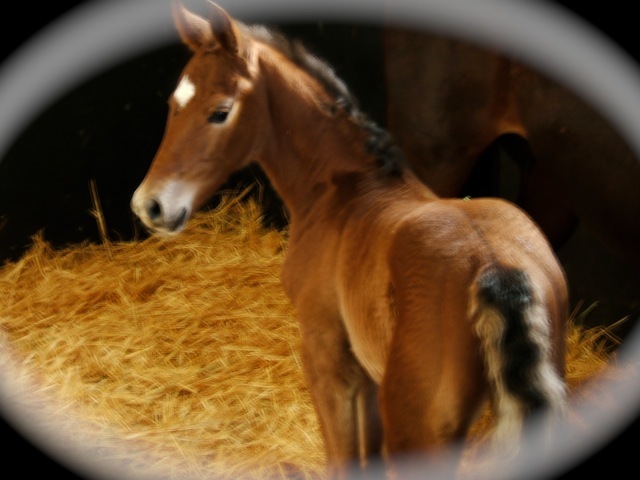 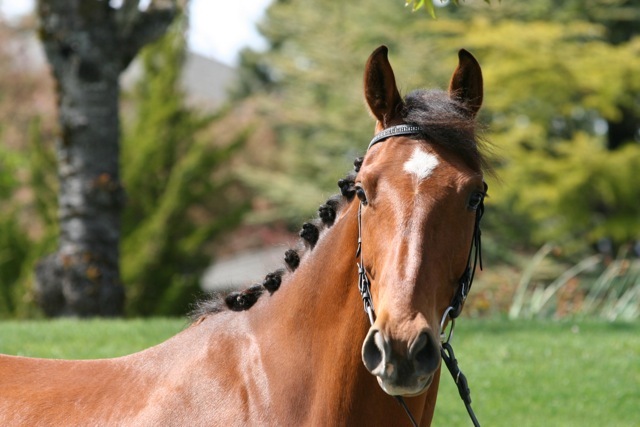 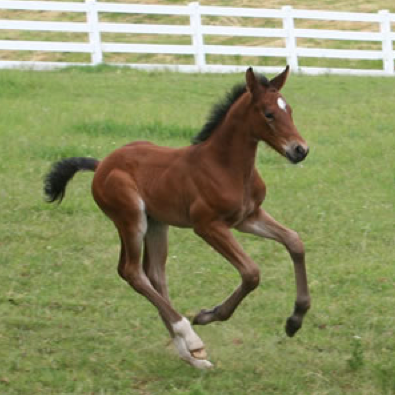 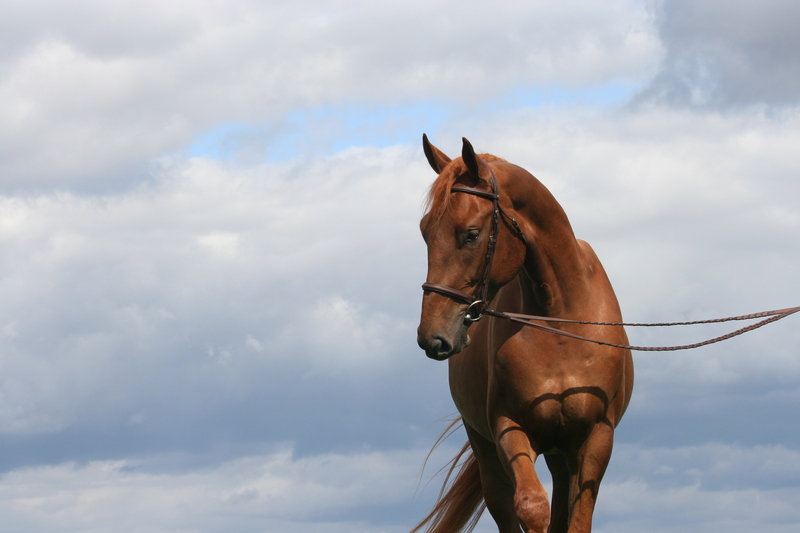 As a nominated sire for the Arabian horse, we expect a beautiful cross between breeds. 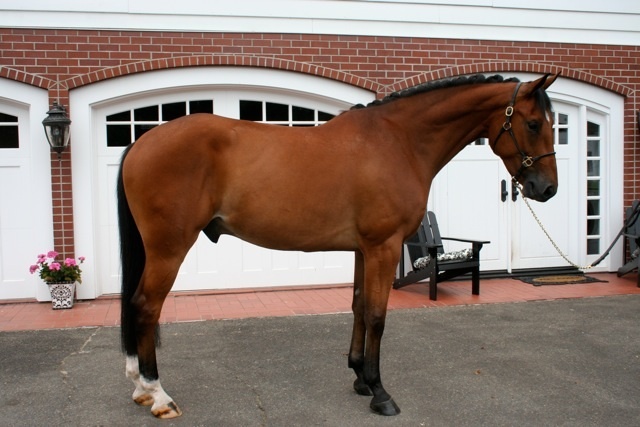 His quiet nature and character should provide a perfect opportunity those interested in producing the Half-Arabian horse.